*Disclaimer: I received this wine as a sample from the PR folks for Wines of Germany in order to participate in a Twitter Taste Live. With the Wines of Germany S.A. Prum Twitter Taste Live in the bag, I’ve had quite a few Rieslings lately that I truly enjoyed. 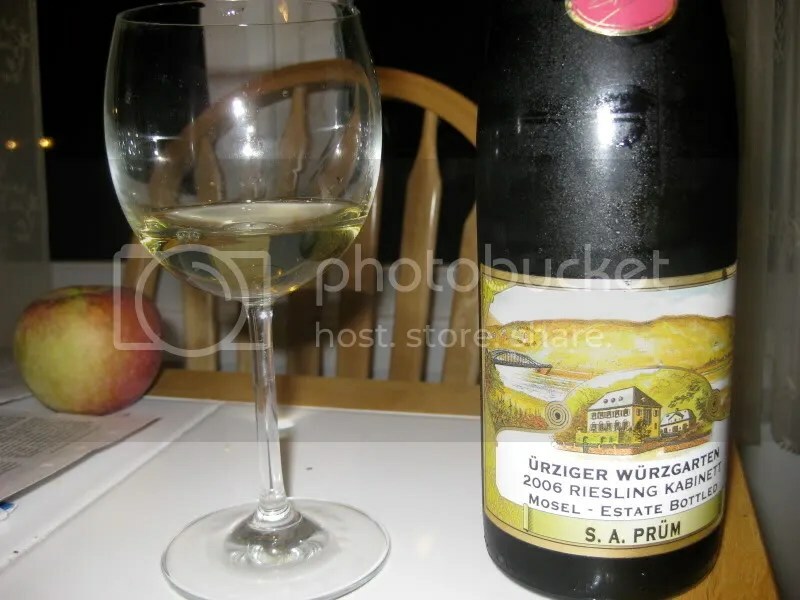 I would recommend any of the S.A. Prum Rieslings we tried as great accompaniments to any upcoming Thanksgiving dinners or holiday parties. I think the wine lovers and newbies alike can appreciate the S.A. Prum line up of Rieslings. 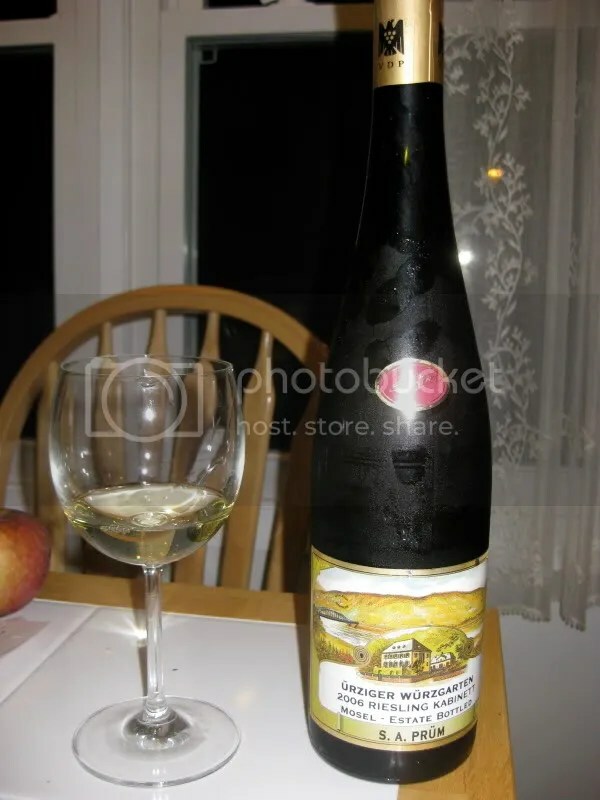 Up last for the night we tried the 2006 S.A. Prüm Ürziger Würzgarten Riesling Kabinett. It had a real cork closure, clocked in at 9% alcohol by volume, and retails for as low as $20. On the nose the wine smelled herbal with notes of honey, gasoline, lemon cream, wet stones, orange blossoms, flowers, and other orange fruit. In the mouth I found honey, honeysuckle, candied apricot, candied, peach, candied peach, wet stone running through, and the herbal quality from the nose. This was the “sweetest” wine of the group and it kept evolving and changing as it warmed in my glass.